Any home improvement project has its uncertainties. How much will it cost? How long will it take? Will there be any surprises when you start to build? If you’ve decided to re-side your home with stucco, know one thing for sure: you’ll have tons of options. Stucco textures span the gamut from simple waves to smooth, flat surfaces, to faces made to look like brick and stone. Additionally, stucco walls can also be painted, stained with finish, or mixed with pigment for a fresh look. That’s a lot of options to consider, so without further ado, let’s dive right in! Siding a home in stucco is a pretty labor-intensive process. 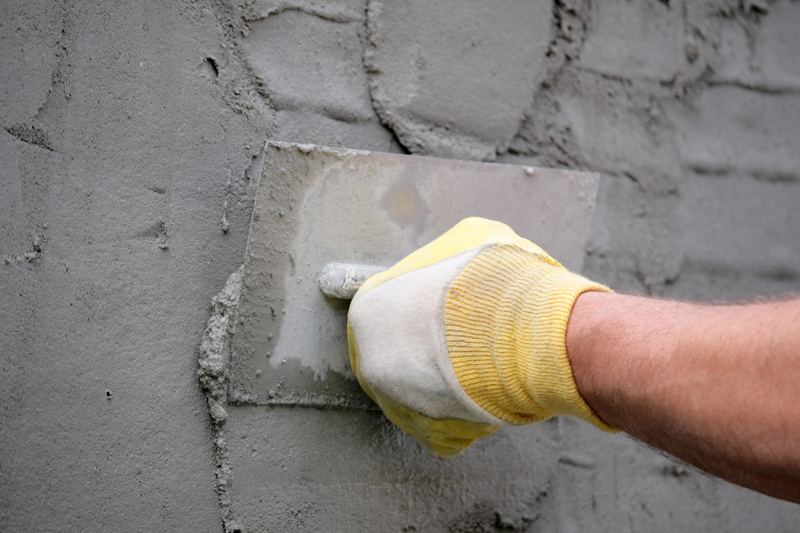 If your home’s walls are made out of concrete, brick, stone, or any other type of masonry, the stucco will adhere directly to the walls. If it’s wood, however, the workmen will need to create a scratch coat by laying metal lathe around the wood. After that, they’ll generally apply three layers of stucco. The first layer adheres the stucco to the building wall. The second coat, called the brown, evens out the surface, and the last coat is where they’ll add the finish. Texture is applied either by hand using a trowel, or sprayed with a stucco sprayer connected to an air compressor. Can you guess which one is more labor-intensive? (Trick question: they both are.) 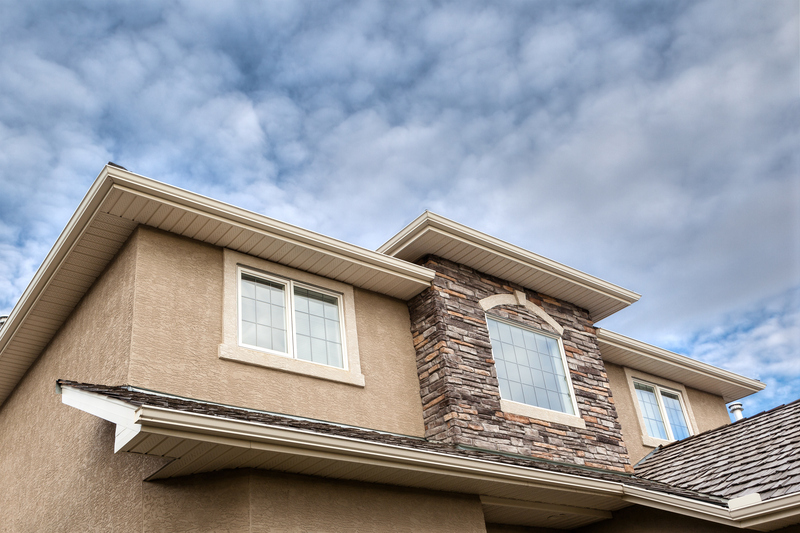 Thankfully, once all that work is done, you can typically expect your stucco siding to last about 50 to 80 years—that’s a really long time for a building material! We weren’t exaggerating when we said that stucco finishes come in tons of different options. 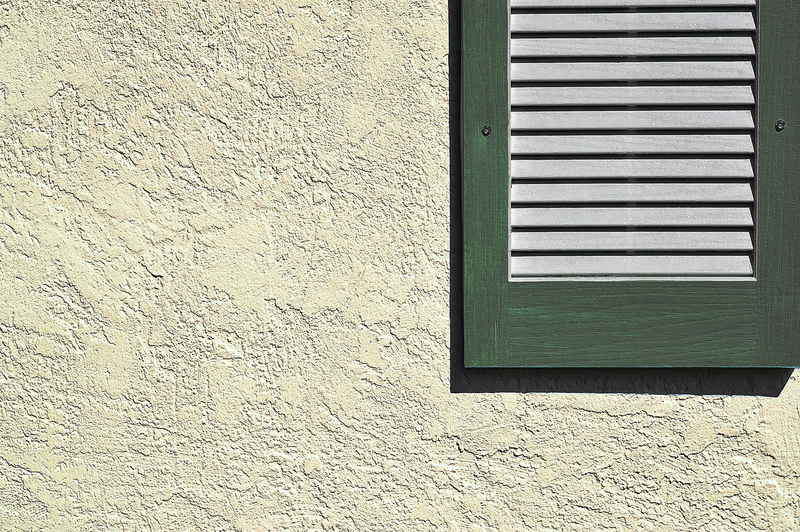 In fact, by some counts, there are over 30 distinct textures that can be applied to the surface of stucco. Below, we’ll touch upon the most popular choices—but keep in mind, a contractor that specializes in plaster installation may have some ideas, too. Cat Face. In this finish, also known as Montalvo or California finish, a rough layer of stucco is spread over the surface and allowed to dry. Over this, the workmen apply a second, smooth layer with breaks in it that let the first textured layer peek through—these are the “cat faces” that give the texture its name. Dash. This texture is a rough, sandy coat applied by flinging stucco cement onto the surface with a special brush called—wait for it—a dash brush. It’s one of the easier textures to patch, since it’s fairly easy to match. Lace. Lace is one of the most traditional stucco textures. To get this texture, workmen spray stucco cement onto a building surface and then “knock it down” by smoothing it out with a trowel. The end result is a smooth surface marked with deep, lacy rivulets—and a texture that’s super forgiving to hide building flaws. Sand or “Float.” In this finish, the final coat of stucco is brushed on by hand using a tool known as a plaster float. It’s essentially like a trowel with a sponge attached to one end. This gives the surface a rough, almost popcorn finish. Smooth or Scraped. A popular choice for modern homes, scraped stucco surfaces have been smoothed down by hand using a trowel. It makes a great base if you’re interested in staining your siding. Worm. Worm textures are achieved using a special aggregate mixture that’s hand-troweled and rubbed onto the surface in a circular motion. The look is similar to lace, with much smaller indents that resemble a worm colony. Santa Barbara. This modern favorite features a smooth, slightly textured surface that has a unique character and depth. Combed. Combed stucco has thin, narrow ridges that stand out as though the surface had recently been combed. The lines are sometimes patterned into swirls and loops, as well. On top of all the choices for texture, you can add color to your stucco walls, too, using pre-colored mud or acrylic plaster, or by painting it after the surface dries. Colored Stucco. Forget the beiges and browns. Modern stucco can mixed in a wide range of pigments, from dusky sage to slate gray to bright yellow. The coloring agent is usually mixed into a white or gray base by your contractor. And, of course, pigmented stucco will save you time and money painting the siding in years to come. Paint or Whitewash. For a more classical look—and a wider range of colors—homeowners often choose to paint stucco siding. Latex exterior paint can be applied to even textured finishes with a roller and a base coat of primer. Another common approach is to whitewash the surface, in fact, which gives it that traditional, adobe look. Keep in mind that painting will require a lot of upkeep—stucco usually develops small cracks as the house settles over time, so it will need to be touched up every five to ten years. Bet you never knew that there was so much to know about stucco! Best of luck with your siding project, no matter what finish you finally land on!